The URL reflects what we believe to be the original spelling of the family name. Rosenkrans likewise reflects the spelling used by our original ancestor in America, Harmon Hendrick Rosenkrans. We hope you find your visit useful and informative. Spammers learned how to use the Feedback portal and it was closed. The Download section is obsolete. Cutting edge for its time (dial-up modems and 1.44 MB mini-diskettes,) it tool 15 diskettes and overnight to download the book and all of its graphics, after which you had to integrate them in your word processor. This has been replaced by a finished PDF file that can be downloaded in about a minute. The ORG (organization) extension seemed to be the best fit when the site was created. Since then, the INFO exrension has become available, and it fits the mission of this site much better. We remain committed to providing this information at no charge and and with no commercial commitments. The majority of visitors to this site come here to obtain a copy of Allen's book, and this task, which was started in June 2012, was given top priority. It has been completely re-done from scratch. It took over a year and it is still not complete. It needs to be proofread again. I plan to add hyprlinks similar to those in the online version - a huge task. These have been relegated to the second round of repairs. The book itself is available in PDF format for immediate download, which should take about a minute with DSL. The 3-part 1959 New York Genealogical and Biographical Record by David Vernooy Bennett, "The First Mrs. Rosencrans," has recently been made available in PDF format for immediate download. Links for downloads of other useful PDF references are provided. The site search function will not be replaced. Download the book and use the Adobe® Acrobat® Reader. It does the same thing. Download is being expanded in scope to include useful references. 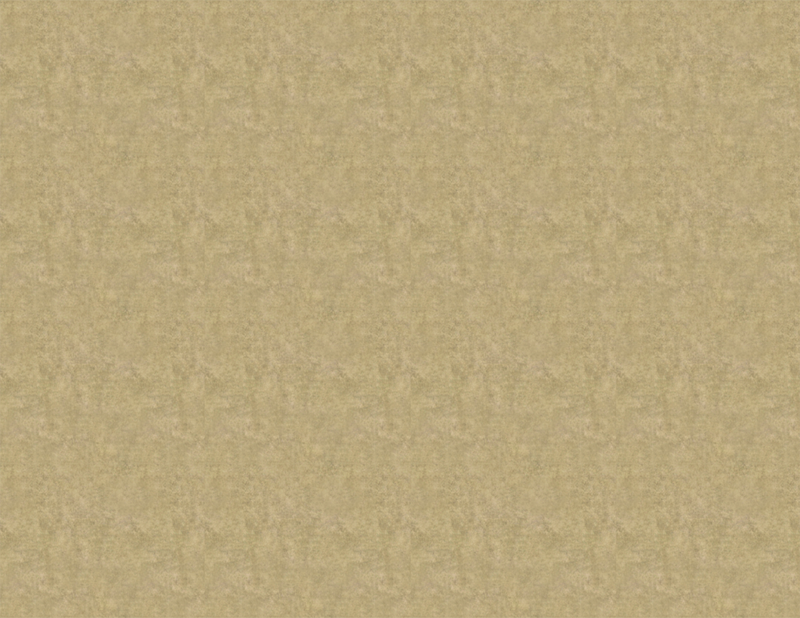 We are experimenting with integrating the site with Google® Earth®. Please be aware that rosenkrantz-genealogy.info is a developmental site and that changes and outages may occur from time to time while you are viewing it. No changes are planned for this site, rosenkrantz-genealogy.org, which should remain stable for the immediate future. I am not a genealogical researcher. Please do not ask me to do your research for you. Allen's book was published in 1900 and there is little information available here beyond this. If you have questions, I recommend that look for a genealogy course in your area before starting to do any research. Our local historical society here in Frederick, Maryland, presented a very good one a few years ago. I suggest that you contact your own local historical society about this. If they don't offer such a course, perhaps they may know where there is one. There are a lot of ins and outs to genealogical research, and a good course will acquaint you with sources of information and get you started right. If you can trace your ancestry back to someone in Allen's book, there are hyperlinks in the book on this site that will allow you to trace your line all the way back to Harmon Hendrick Rosenkrans. I have been a computer jockey for most of my career, and I view my main role here as that of making Allen's book available on-line and for download to anyone who might be interested in it. This is a very rare book; probably only a few hundred copies at most were printed. You can download the book and all of its graphics free. Using your word processor, you can format the text to suit your own taste and incorporate the graphics. You will now have an electronic book, and if you have been skillful in doing this, it will probably be better than the original. The information on this page was derived from my reading of Allen's book and other information that I have informally received. You may read it and have an entirely different interpretation. It is mainly to give you an overview of what is contained here. I have also added some historical data on this page that sometimes enhances and sometimes contradicts Allen's conclusions. Additions and corrections are welcomed and will be incorporated if they seem appropriate. Please visit the Feedback page for this. During the closing years of the 19th century, Allen Rosenkrans, a merchant living in Newton, New Jersey, set out to trace his family history. He was schooled in business, but not in research or analysis. With experience only as a school teacher and merchant, Allen produced a seminal family history that was published in 1900. It included over 900 members of the North American branch of the family that were descended from one man, Harmon Hendrick Rosenkrans, who had arrived in New Amsterdam (now New York City) during the mid-1600's. You can read this book in its entirety on this site and also download a copy of the book for yourself including all of the graphics at no cost. You can search the book for specific text here. If you can trace your ancestry back to anyone listed in this book, I have provided hyperlinks in the text that will allow you to quickly trace your line back to Harmon. More interestingly, Allen dug up compelling circumstantial evidence which seemed to link Herman Hendrick all the way back to a Danish Nobleman, Erik Nielsen, also known as Erik the Knight. 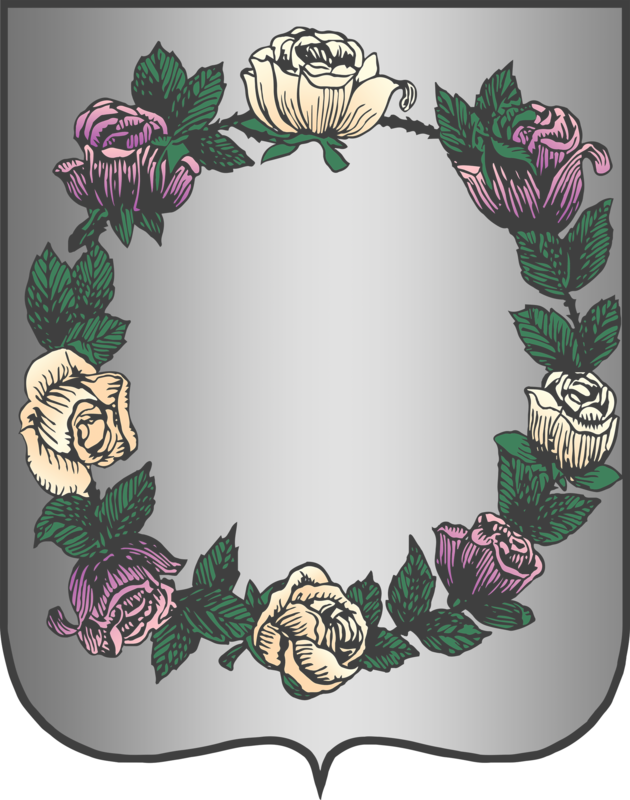 Erik was awarded a wreath of roses by the Pope in 1325 A.D., which he adopted as his family crest. Erik's crest appears at the top of this page (embellished somewhat with Adobe Illustrator and Adobe Photoshop.) Erik's brother Johannis Jenseller's crest featured a lion. No crest is known to be associated with the third brother, Iver Neilsen. Whether there is any truth to this legend we don't know. I received an e-mail from a gentleman in Denmark who is associated with the present day family and who says this story isn't true. The fourth chapter in Allen's book ("Europe") which publishes the correspondence and analysis reports in two places that Erik traveled to Rome to receive a rosary from the Pope that he used as the basis for his family crest. Chapter five ("Summary") simply notes that he visited the Pope to receive a rosary. The last major crusade to the Holy Land ended in in the 1270's, long before the time Erik would have been born, so it is not likely that this is why he received the rosary from the Pope. There were some attempts to start a new crusade which never got off the ground and some skirmishes in Europe at that time that were called "crusades," but they were never directed at the Holy Land. Unlike the Holy See of today, in that era the Vatican was a very secular organization that contended for territory, wealth, and power with other secular rulers in Europe. It seems more likely then, that if Erik was indeed awarded a rosary by the Pope, it was more of a diplomatic move by a Pope who was trying to build alliances during the political and power struggles occurring at that time. Pope Clement V (1305 - 1314) moved the Curia from Rome to Avignon in southern France in 1309 because of pressure from Philip IV of France as well as major turmoil in Rome. This was the beginning of the almost 70 years of "Babylonian Captivity" of the papacy in Avignon. The struggle for power continued between Philip V who became King in 1916 and Pope John XXII (1316 - 1334.) So if Erik did indeed receive a rosary from the Pope in 1325, he probably traveled to Avignon, not Rome, to receive it. It is also possible that Erik could have been a member of the Knights Templar. They had long since returned from the Holy Land and were very wealthy and powerful, having used their money for banking ventures. The Knights Templar in France were arrested in 1307 by Philip IV without warning, and under torture some of them admitted to heresy and were executed. The underlying reason for this was that Philip IV coveted their money. Clement V was pressured into dissolving the order, and in other places they were pensioned off and dismissed. Harmon settled in Mombaccus (currently known as Rochester township,) which is near Kingston, New York. Many of the early generations grew up and settled in New York, New Jersey, and Pennsylvania tri-state area. My son and I have visited some of these sites and I have provided some of the details and photographs of these visits. The Rosenkrantz family is still in existence in Denmark, and you can visit their castle on the Internet at http://www.rosenholmslot.dk/. The pictures are gorgeous, but you'll have to read Danish in order to understand the text. There were no family names at the time of Erik the Knight. The name Nielsen simply meant that Erik's father was named Niels; Nielsen translates to Niels' son. In 1525, King Frederick I commanded all of the Danish noble families to adopt family names. The descendants of Erik and his brothers adopted the name Rosenkrantz, which means "wreath of roses" in Danish and related Germanic languages. Thus the Rosenkrantz name and its variants are in use today by the descendants of Niels Iversen, Erik's father. The family seat is an estate called Hevringholm, Jutland, in the Province of Schleswig-Holstein. The earliest occupant of Hevringholm in recorded Danish history was a nobleman, also named Erik, who was living there in 1227 A.D. He was very likely an ancestor of Niels Iversen and his sons.. By the way, Hevringholm is the correct spelling. Allen spells it Herringholm in his book. The original structure, which was built on the Hevringholm estate ca. 980 AD, lies in ruins today. The last Rosenkrantz owner of this estate was a Stygge Rosenkrantz, who died in 1571. The buildings on the estate have been rebuilt at least three times due to fires, wars, etc. A local priest's report dated 1856 states that the structure at that time had been rebuilt in 1640; the current structure appears to be even newer that that. Much of the original estate has been sold off through the centuries. The present owners of what is left of the estate are reported to be engaged in high-tech agriculture. I am currently trying to obtain recent digital images of the ruins of the original estate to publish here. At the time of Erik the Knight, Schleswig-Holstein belonged to Denmark; it was subsequently taken from Denmark by Germany in 1864. The province itself lies between Denmark and Germany; its ethnic makeup gradually changing from Danish in the north to Germanic in the south. At the end of WW2, Denmark probably could have recovered its former territory, but for one reason or another chose not to do so, and today Schleswig-Holstein remains a province of Germany. However, Hevringholm lies in Jutland, which is in the north of Schleswig-Holstein, and is still on Danish soil. The title of Baron is passed from father to eldest son along with the wealth and the estate. The younger siblings receive lesser titles. Subsequent generations receive ever lessening titles, until at last the children are born commoners. Thus at some point, there will be untitled members of the family who are out looking for work. A Jacob Dircksen Rosenkrantz was known to be living in Amsterdam, Holland, in 1552. His coat of arms was the same one used by Erik's branch, displayed at the top of this page. It seems reasonable to assume that this Rosenkrantz was one of the untitled members of the Danish noble family who had emigrated to Holland in search of work. There were not many Rosenkrantzes living in Holland at any time, and Rosenkrantz is not a native Dutch name. His son, Dirck Jacobzen Roosecrans, was a Captain of the Civil Guards and later Commissioner of Matrimonial Affairs, 1589 and 1603. Dirck also used the coat of arms of his father, Jacob. Until about 1900, the spelling of names was not considered very important. Individuals modified the spelling of their names to suit their own tastes. Dirck Jacobzen seems to have "Dutchified" his family name. His middle name echoes the ancient practice of incorporating his father's name with the "son of" postfix. And it appears that he may have been named after his grandfather. Dirck appears in the portrait in the frontispiece of Allen's book. Holland was under Spanish rule during the time of the Spanish Inquisition. In 1567, Jacob Dircksen's property was confiscated and he was exiled by the Spanish Duke of Alva "for the state of his religion." He had traded in Erik's Catholicism for the Calvinism which was making inroads all over Europe at that time. Here the Holland paper trail ends. Allen's sources claimed that there were no Rosenkranses living in Holland in the late 1800's when Allen was conducting his investigation. Were some or all of them ultimately exiled? Dirck was known to be living in Holland more than 35 years after his father was exiled, so he may not have been. Did he die childless, or did the male line end at some point? Were there other family members, and were any of them exiled too? Maybe his source missed some. We do not know. The scene now shifts to Bergen, Norway, in the late 1500's and early 1600's. Bergen city records show that a number of Rosenkranses emigrated there during that time frame. Was Jacob Dircksen one of them? Given his probable ancestry, it seems likely that Jacob Dircksen would have chosen exile in a Scandinavian country. Were there any other family members/relatives from Holland in that group? Again, we do not know. The church in Bergen burned down in 1674, which destroyed all of the pertinent birth records prior to that date. So we have no direct method for linking Harmon Hendrick Rosenkrans with an ancestor in Norway who had come there from Holland. We do know that Harmon Hendrick Rosenkrans came from Bergen, Norway, and was known as "Harmon the Portuguese" because of his service with a company of Dutch soldiers in Brazil. Harmon arrived in New Amsterdam sometime during the mid-1600's and married the widow Magdalena Dircks Van Dort there in early 1657. On their wedding day, Magdalena (who was possibly slightly inebriated) made fun of an innkeeper who also happened to be a political appointee (the fire warden). The innkeeper took offense, brought charges against the pair, and had them deported to Holland. Harmon received a discharge from his military obligations by a special act of the Council, and was sent back to Holland with his new wife. Harmon was a mercenary in the Dutch military. He was living in New Amsterdam, married a Dutch woman, and was deported with his new wife to Holland for a while. This strongly suggests that Harmon had some connection with Holland, and thus with the Danish line. There were, however, other Rosenkrantzes living in Norway at that time, some of whom may have had connections to the Danish branch and others who emigrated to Norway from Denmark and Sweden. Allen mentions an Alexander Augustus Rosenkrans who emigrated to New York in 1689 from Holland. Was he related to Dirck or some other family member living there? Allen mentions (but does not trace) other lines besides Harmon's. I met a Rosenkrantz living here in Frederick, MD whose grandfather had emigrated from Norway. I believe the old emigration lists are available on CD's now, which should provide additional starting points. While Harmon Hendricks' line is today very numerous, it is not the only line here in America. My own feeling is that anyone whose name is Rosenkrans or one of the many variants thereof is probably a descendant of the Danish noble family that took the name Rosenkrantz in 1525 A.D. I have heard of no other possible origins for the name, and it is sufficiently unique that I think the chances of it arising elsewhere are very low. At the time people were adopting surnames, most people either froze their patronymic (e.g., Johnson, Erickson, etc. ), chose their profession (Smith, Cooper, Farmer, etc. ), or, as in the case of early settlers in New Amsterdam, where they were from (VanAken => from Aken, VanKampen => from Kampen, etc.) Perhaps somewhere in northern Europe there was a florist who was renowned for his wreaths of roses. It seems reasonable that, although lines other than Harmon Hendricks' exist in America, we are all related to a common ancestor in Denmark. As an interesting aside, Rosenkrantz and Guildenstern are well-known characters from Shakespeare's play, "Hamlet." And more recently, there was a Broadway play called "Rosenkrantz and Guildenstern Are Dead," that was based on a line from "Hamlet." It has also been made into a movie based on these two hapless characters from "Hamlet." Rosenkrantz and Guildenstern are the two major noble families in Denmark, so it is not just a coincidence that Shakespeare used these names in a play that was set in Denmark. Apparently Shakespeare originally intended to set the play in Greece, and many of the other characters bear Greek-sounding names. At the time he was writing the play, there were in England two ambassadors from Denmark named Rosenkrantz and Guildenstern. Shakespeare knew and was friendly with these two ambassadors, so he switched the locale of the play to Denmark and wrote his friends into the play. 1999 - Coming back from a folk music festival in upstate New York, we located the site where Harmon had his original farm at the confluence of the Peterskill and the Rondout creeks. 2000 - We drove down the Old Mine Road in Sussex County, NJ, and saw the house that Harmon's eldest son, Alexander, built. The is near Newton, NJ, when Allen lived, and there is a cemetery along this road where a lot of the people mentioned in Allen's book are buried. According to the title page, Allen's book was published in January, 1900, although part way through we find that publication was actually delayed until March of that year for some last minute material. It is not likely that anyone who was included in the book is alive today in 2007. The 9th generation was the last mentioned in the book, and by rule of thumb there are 33 years between generations, so the 12th generation would be expected to be numerous by now. In fact, my granddaughter is of childbearing age, so there are no doubt some 13th generation and possibly even a few 14th generation family members are around. In my own case, it was very simple to connect to an entry in Allen's book. My great grandfather, James Post Rosenkrance [642} and my grandfather, James Post Rosenkrans II [832}were both alive when this book was published. My father, James Post Rosenkrans III was born in August, 1900, just a few months too late for inclusion in the book, but he knew both my grandfather (died in 1932) and great grandfather (died in 1913) personally. So it is easy for me to make the connection because my father (died in 1991) passed all of this on to me. And I have similarly passed it on to my children (born in 1965, 1971, and 1973) and my granddaughter (born in 1985.) I have written all of this up and added it to Allen's book by hyperlinks. A link from my grandfather takes you to a page with my father's information. A further link takes you to me, and links from me take you to each my three children. Since my oldest daughter is at the end of the line, my granddaughter merits only a mention on her mother's page. If my daughter's husband's family had a genealogy site (they don't) we would provide a link to that site. Similarly for my granddaughter. Our family is quite numerous today, quite possibly numbering as many as 5,000. Allen missed some of the descendent lines, and we know that there are lines that didn't descend from Harmon Hendrick. From e-mails I have received, many people are trying to trace their roots backward from today. A few are as fortunate as I am to be able to link back easily to someone in Allen's book and thus track their ancestry all the way back to Harmon Hendrick. More commonly, though, they are unable to connect to someone in the book because of the century plus gap, a line that Allen missed, or perhaps their antecedent was an immigrant other than Harmon Hendrick. Click here for a description of the linear logarithmic regression method I used to estimate the number of family members living today. At one time I had hoped to use Allen's book as a starting point and incorporate information from viewers to continue and update Allen's book to the present. At this time it is obvious that this task is way too large for me. I recommend the genealogy bulletin board http://genforum.genealogy.com/rosencrance/ where you can post queries and information that you have to share and also look for information of interest to you. You cannot read this book without realizing that you too will become a part of history some day. Longevity runs in my family - my parents died just short of their 91st birthdays. So at 70 (in 2007) I expect to be around for a while. But with age you begin to slow down, and my ability to update and maintain this site is diminishing. At some point it will be necessary to pass this site on to someone if it is to continue, and at this time I do not see that it will be one of my descendants. My son has no interest in the technical side of the Internet. So I would like to hear from anyone who might be interested in hosting a mirror site for a while, and that I could in time turn over the domain name and control of it at some point in the future. This page was last updated on February 26, 2007 . Copyright ©1997 - 2007 by James P. Rosenkrans, IV. All rights reserved.